The first ever All Within My Hands Foundation Helping Hands Concert and Auction, which took place on November 3rd at the Masonic in San Francisco and featured a rare METALLICA acoustic performance, has raised more than $1.3 million—which will go to food banks in cities the band has played on its current WorldWired Tour and carefully selected community colleges throughout the country. All Within My Hands is supported in these efforts by the American Association of Community Colleges and Feeding America. Formed in February 2017, All Within My Hands (AWMH) is a 501(c)3 non-profit foundation focused on creating sustainable communities by tackling the issues of hunger and workforce education, and encouraging volunteerism. Metallica and the All Within My Hands board staged the the All Within My Hands Foundation Helping Hands Concert and Auction to celebrate the organization’s first full year in existence. Aside from the acoustic Metallica concert, this very special evening provided a unique opportunity to learn about the organizations Metallica and AWMH have supported, to bid on one of a kind auction items, and to also enjoy performances from Cage the Elephant and MC Kurt Braunohler. The evening’s auction, featuring one of a kind Metallica experiences, autographed music memorabilia, priceless sports collectibles and more, closed with a total of 850 bids—with the exception of instruments played by the members of Metallica that night, as well as a number of unique experiences (some of which personally involve members of the band). Bidding on those select items will continue through 5:00pm PT November 9th at talli.ca/awmhauction. AWMH was established in 2017 as a way for the entire Metallica family to give back to communities around the world that have supported the band on tour. In its first six months of operation, the Foundation donated more than $750,000 to local food banks around the world—a practice the band and AWMH have continued on the North American WorldWired Tour, donating to local food banks in every city and meeting dedicated people who focus their daily lives on helping others. 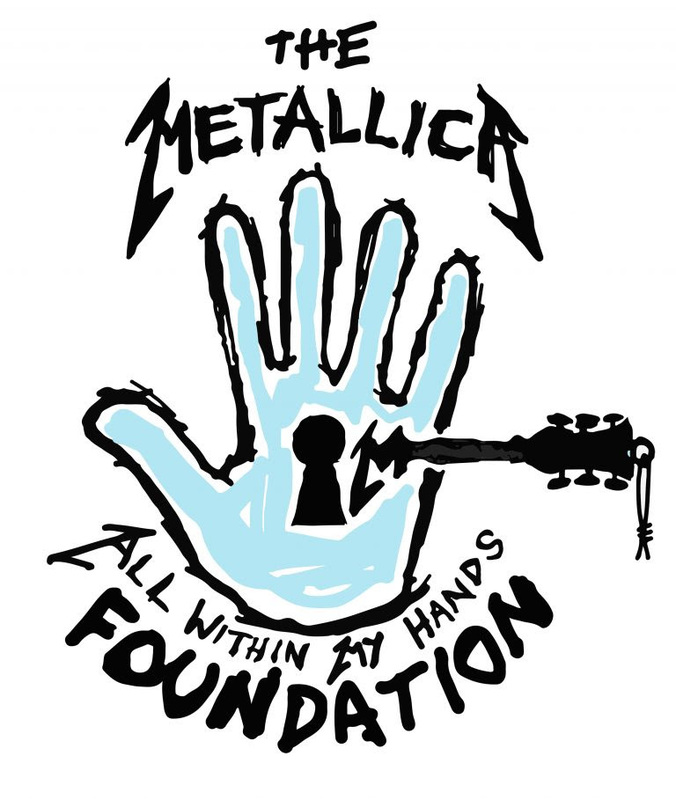 The Metallica family and the All Within My Hands Foundation board members are committed to running an organization of the highest integrity where expenses are kept to a minimum and are paid for entirely by the band, the board, and friends who have worked with the band over many years and are excited to help in this mission. As such, 100% of all donations from fans and third parties go to the organizations AWMH supports.